There has been a lot of speculation in social media recently about nonimmigrant visa operations at the U.S. Embassy in Baku and whether outside individuals can influence visa adjudications. As someone who worked in our internal malfeasance prevention unit in Washington, D.C., I can attest to the protections that are in place to ensure transparency and integrity of our operations. One only has to visit our waiting room to see people from all walks of life to understand that most people are required to appear in person for fingerprinting and for an interview with a commissioned Consular Officer. On any given day, government employees, business owners, law enforcement officers, and a full range of others can be seen queueing for the visa process. Regardless of their background, all applicants are subject to the same procedures. Influence and corruption have no place in our Embassy. Today, I hope to help you understand better how and why we operate in ways that may be unfamiliar to you and to provide you with a more specific look at how our processing is completed. Again, I welcome your suggestions for topics and Consular-related questions. Please send them to AsktheUSConsulBaku@state.gov. What is the Process to Apply for a Nonimmigrant Visa? An applicant begins the process by completing the online application form (DS-160), answering all questions completely and truthfully. If the application was prepared by someone other than the applicant, this should be noted. Once the applicant has the barcode number from the application, they must visit the visa service center website to pay their fee and schedule the interview, or if eligible, arrange to courier in the documents. We strongly recommend booking appointments more than one month in advance. During busy travel seasons, you should book your appointment at least 45 days before the proposed date of travel. On the date of the interview, the applicant must appear in person at the Embassy. The applicant will submit fingerprints and should be prepared to credibly answer the Consular Officer’s questions and submit any required documentation. If the applicant is found eligible and does not require additional processing, the passport with the visa will be delivered to Aramex Courier’s Office within five business days. Aramex will notify the applicant by email that the passport is ready for pick up at their office. Who doesn’t have to appear for an interview? The first, and most common category, applies to applicants who have a valid visa or whose previous visa expired within the last twelve months. If an applicant is applying for the same type of visa, he or she may use the interview waiver program and submit the documents at the Aramex Courier Service Center. Children under 14 whose parents have valid visas are also eligible to use this program. By providing this service, our office can make available appointments for other travelers, such as first time applicants, business people, and students. In certain cases, those who use the interview waiver courier program may be required to attend an interview. This generally applies to those selected for administrative processing, those who appear to no longer be eligible for a visa, or to those whose visas expired more than twelve months prior. The second most common category is comprised of Government officials and diplomats traveling for official purposes. Their application must be accompanied by complete documentation from the Ministry of Foreign Affairs or the requesting embassy. While their personal appearance is generally not required, at times, Consular Officers may require the applicant appear for an in-person interview. This is usually done to clarify the position and purpose of travel. If the officials are traveling for personal reasons, such as for tourism or to visit family, the officials must make an appointment for fingerprints and an interview. Who does not need an appointment? All applicants are seen by appointment only. We do not accept walk-in appointments. Applicants planning to travel to the United States must make an appointment via the online appointment system. There are very few exceptions to using the online appointment system, but we have specific written policies and procedures governing those exceptions. For example, if the applicant is traveling for a U.S. government sponsored program, upon receipt of the proper documentation, the Consular Section will schedule the interview. In the cases of large groups of students, sportsmen, or performers, the Consular Section reserves the right to schedule these appointments in groups to ensure that other applicants’ appointments are not affected. Generally, those groups are required to make a request for an expedited appointment through the visa service center appointment system. In a handful of cases, we expedited appointments for travelers who were facing a life or death emergency, such as urgent medical treatment or the death of a loved one in the United States. We do not accept appointments by telephone or through third parties, no matter how influential the person is viewed. If a travel agent advises that they have a contact to influence appointments, I would love to hear from you as there is no available mechanism to do so. How do we know you are being truthful? Consular integrity and accountability are the backbone of our operations. Consular Staff work hard to ensure our processes are free from outside influences. In fact, Consular processes are the same worldwide. Each action is well documented and completed based on U.S. immigration laws and regulations. Every few months, regional representatives visit Consular posts to monitor all procedures and to ensure we are operating effectively and following all relevant policies and laws. To safeguard our operations, we have a number of protections in place to identify abnormalities. In addition to ensuring all management controls are followed, our offices in Washington, D.C. routinely audit the appointment systems and consular systems. Any irregularity is reviewed, and when appropriate, investigated by law enforcement. All callers seeking information about visas are referred to the call center for visa services (telephone: +994 12 310 3010 or email: esee_contactus+az+info+en@visaops.net). 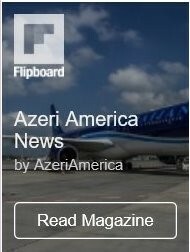 In addition, information about visas can be found at the following websites: https://ais.usvisa-info.com/en-az/niv, http://www.travel.state.gov, or https://azerbaijan.usembassy.gov/non-immigrant_visas.html. 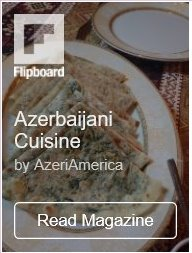 This is necessary because there are over 9 million Azerbaijanis and the Consular Section is staffed by four people. We simply do not have the staffing to provide telephone support and answer individual emails. If we are answering the phones for visa-related calls, we are unable to help U.S. citizens, print visas, complete data entry, or efficiently operate. We understand this can be frustrating, but the call center staff do speak Azerbaijani, English, and Russian. The call center may also pass more complex or urgent inquiries to the Consular Section. We do monitor the calls for quality assurance. Who can call the Consular Section for visa information? The Consular Section does not accept visa-related phone calls from applicants or third parties. Visa information about applicants is protected under U.S. laws. The Consular Section is prohibited from sharing or discussing information about individual visa cases with third parties and takes any allegation of impropriety seriously. For example, if your cousin or your travel agent know someone at the Embassy and try to call on your behalf, our staff are not permitted to discuss case specifics. The Consular Section staff take this seriously and report attempts to influence visa adjudications or obtain information to the appropriate parties. While this can be frustrating to non-Consular personnel or contacts, it ensures we safeguard all information and eliminate any appearance of impropriety. Who decides who gets a visa? Only commissioned Consular Officers have the legal authority to make visa adjudications. No outside influences may play a role in the decision or speed of the process. For example, if your uncle knows someone at the Embassy and reaches out to that person, the Consular Section will not discuss the case nor share information. Attempts to influence Consular Officers’ adjudications may place that person at risk of being found ineligible for U.S. visas and may be referred to the appropriate investigative bodies. Each of the Embassy’s Sections is aware of the regulations and are regularly reminded of the importance of maintaining the integrity of Consular operations. Even the Ambassador will tell you that he cannot influence visa adjudications! What are the most common reasons for delays in visa processing? Submitting an invalid photo is the number one cause for delays. Poor quality or photo shopped pictures, old photos previously used for passports or another visa application, colored backgrounds, or photos with glasses are commonly submitted. The Section must request a new photo which adds time to the processing. Unrealistic dates of travel. If you submit your application or have your interview the day before you intend to travel, it is very unlikely you will make your flight. Apply ahead of time! We strongly discourage you from purchasing your tickets until you have the visa in hand. Not disclosing information on your visa application. We expect some applicants to have relatives in the United States, but if you purposely don’t share that information, we are concerned about what else you are not sharing. Also, it is ok to have assistance completing your applications, but if you do not disclose who prepared the application, it may damage your credibility. In certain cases, applications must undergo additional processing. 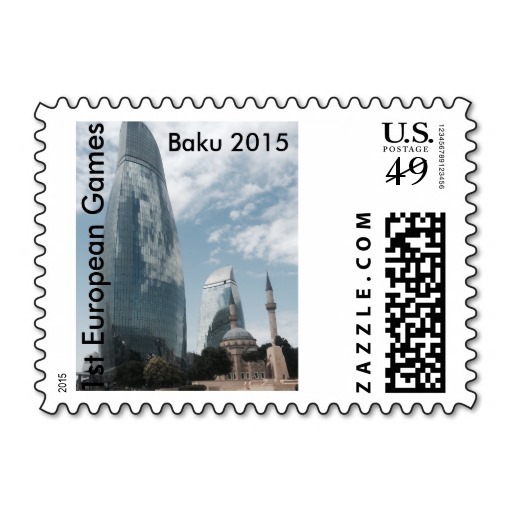 This process takes time, is handled in Washington DC not Baku, and can add significant delays. Consular Officers will advise you of the need for this processing at the time of the interview.